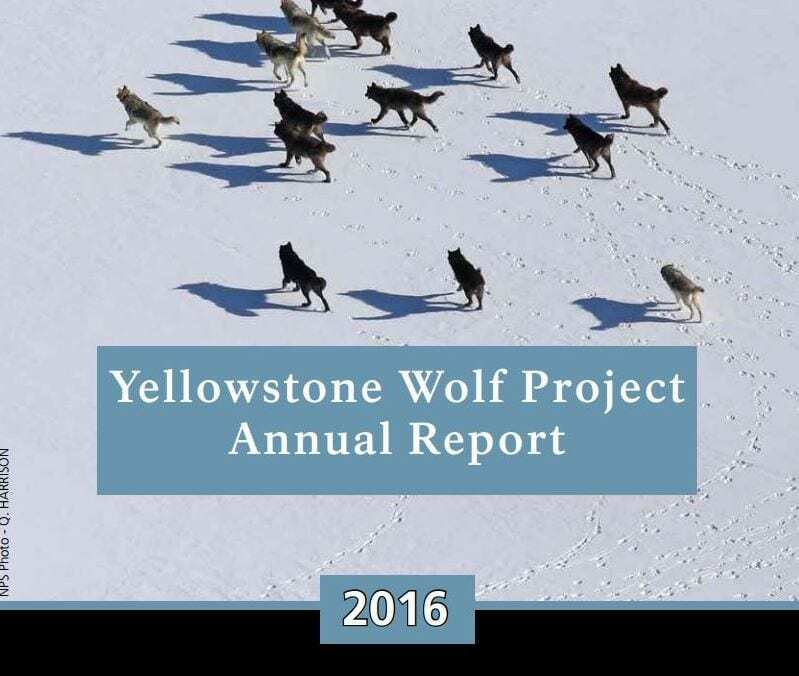 There were at least 108 wolves in 11 packs (7 breeding pairs) living primarily in Yellowstone National Park (YNP) through December 2016 (figures 1& 2). Breeding pairs are defined as an adult male and an adult female with two pups that survive through the end of the year. Overall, wolf numbers have fluctuated between 83-108 wolves and 6-9 breeding pairs from 2009 to 2016. Pack size in 2016 ranged from 3 to 18 (table 1), averaging 9.8 in size. Park-wide, 36 pups survived to year end, 16 in northern Yellowstone and 20 in the interior of the park, with an average of 4.0 pups per pack surviving for 9 packs with confirmed reproduction. Error: Error validating access token: Session has expired on Friday, 22-Mar-19 12:26:11 PDT. The current time is Sunday, 21-Apr-19 03:15:23 PDT.